Luna Semara returns to Stephan Bodzin's Herzblut with two tracks rippling with tension and drama. "Yul Brynner" sees stern unfaltering pads and trembling percussion mirror the great actor's famous unflinching gaze and the lead synth shimmers with a kingly presence. "Blackwash" cuts to the chase with a much more direct route; a staccato stab leads the charge before a kick drum switch the changes the groove entirely opening up caverns of space for the synth tendrils to creep and crawl through before the vast sunrise pads sweep across the mix. 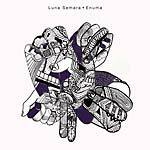 Luna Semara presents an impressive slice of electronic emotion with Enuma. "Mustafa" opens the release in pure pleasurable fashion. Its steady bubbling synth line builds with waves of synth chords flowing back and forth. Continuing the blissful journey is title track "Enuma". A powerful, climbing synth line leads as warm pads and bongos pave the way beneath. A strong kick drum then builds momentum as the synth begins to growl. Whilst the intensity increases, the beauty is never lost and we're brought back down with a tender touch. Herzblut Recordings boss Stephan Bodzin has unearthed a real gem in French DJ and producer Luna Samara, who debuts here. As its name suggests, "Arp Choir" is a wonderful arrangement of ascending synth and warm enveloping bass, with an electronic thunderclap that increases the pace and intensity without losing any of the track's initial elegance. Beautiful. On "The Pink Room," burbling synth and a solid kick drum lead us in as warm, heaving pulses heat the space. "The Pink Room" never peaks, instead holding us in suspense -- a perfect track to open any night. 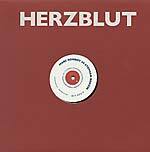 Dominik Eulberg, of Traumschallplatten, Cocoon and Kompakt notoriety, presents the next installment of the Hertzblut Recordings EP series in the form of Backslash. The EP opens with "Opel Tantra," a delectable example of a living, breathing techno orchestra in full effect. 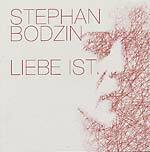 B-side "Noch Ein Bass im Ärmel" sees plucked strings and key stabs pick out an alluring groove, as distant chimes twinkle, evoking the enchanted forest ever-present in Eulberg's thoughts. Nicolas Masseyeff releases his debut album, The Motherland, on Stephan Bodzin's Herzblut Recordings. His latest work draws on a wide sonic palette: it goes deeper and more introverted than his previous releases, making it as suited to home listening as it is to club dancing. The album is one to pick apart for DJs or to digest whole for connoisseurs. 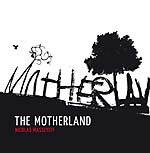 The Motherland is not only a fine artistic statement from one of France's leading electronic producers, but also an assured full-length release on Herzblut which will no doubt stand the test of time. The next great release on Herzblut comes from Nicolas Masseyeff. This time, he teams up with Jr C, who delivers dark vocals on this tech-house journey. And the package gets even better -- the A-side is reserved for the original version of the dancefloor treasure, while on the flip side, you can find Oxia's house-y interpretation of the track and Gabriel Ananda's groovy touch. 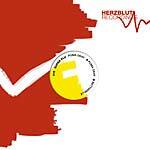 Herzblut presents Nicolas Masseyeff's Modul8 in a limited edition of 500 copies only, pressed on red vinyl. Played by Laurent Garnier, Miss Kittin, Stephan Bodzin, Oxia and Super Flu. Belgium-based producer Ramon Tapia presents more dramatic, up-rising, driving beats on What's Next. With previous releases on labels such as Yellow Tail, Definitive Recordings, Craft, Great Stuff, and Flash Recordings, Tapia is hotly-tipped as the next spark to light the minimal flame. Erphun's music is brooding, pounding, and transformative, as if from another realm entirely. His ability to build a mood with slow, driving builds is mesmerizing, transporting the listener to an alternate spiritual level. His tracks are spun in clubs around the world and are succinctly summed up by Steve Lawler as a "deep, dark, underground unique sound." With releases on INGrooves, Ascension Records, Viva Music, Mutekki and Audio Therapy, his name is instantly recognizable in the tech-house and minimal world. 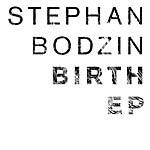 This new project on Stephan Bodzin's imprint Herzblut Recordings already has massive plays from Oliver Huntemann, Dubfire, Popof, Florian Meindl, Super Flu and Pig&Dan. Don't miss this one. 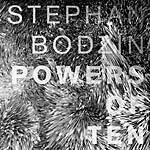 Florian Meindl comes up with a new impulsive EP on Stephan Bodzin's prolific Herzblut imprint. "Aorta" starts with a catchy groove and soon turns into a melodic peak-time monster. Super Flu deliver a brilliant remix of "Aorta" with massive breaks for big party moments. Pure club TNT. Nicolas Masseyeff is the latest member of the growing Herzblut family. 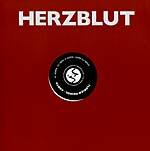 Nicolas has done quite a few releases under different aliases in different styles, but as Herzblut is all about personal style, honesty and dedication, this is a techno manifesto! Huge sound-walls, kicking beats and insane EFX make this 12" a dancefloor euphoria peak-time blazer, with a Dolby surround trademark sound, bringing Herzblut and Nicolas to the next level. 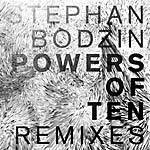 "Stephan Bodzin is one of the busiest protagonists in techno 2006. Not only because of his ground-breaking collabos with several big artists but also because of more personal solo releases. 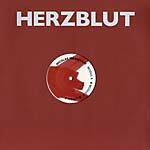 For the 3rd release on his own Herzblut label he teamed up with Mr. Systematic Marc Romboy and what they deliver is simply outstanding! 'Puck' is a masterpiece based on a simple and incredibly modulated bass tone on top of basic drumming. The dark atmosphere and the consequence in this track reminds of Plastic Man's best productions... this will make you shiver! It is another of those epic classics. Techno blues. A beautiful bass synth melody is the core of a journey thru old tekkno ground and new production styles... definitely one of the 12"s to look for."